A mid-cut, durable, breathable and waterproof shoe for hiking and trekking. Prepared for semi-automatic combi crampons, cold insulating, easily. The extreme durability and stability is a resilient, lightweight and very comfortable shoe for mountain climbing and trekking. 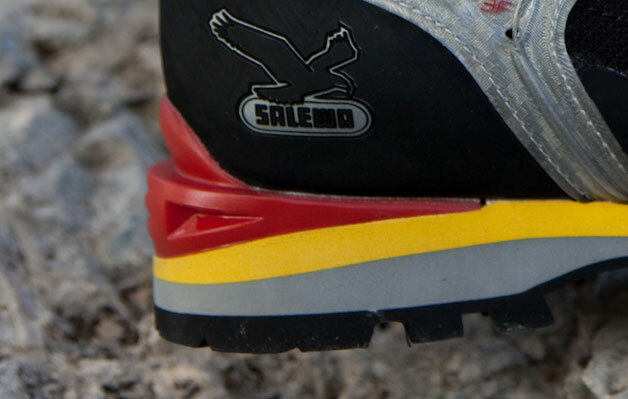 The Salewa WS Condor Evo GTX is prepared for semi-automatic crampons Combi. 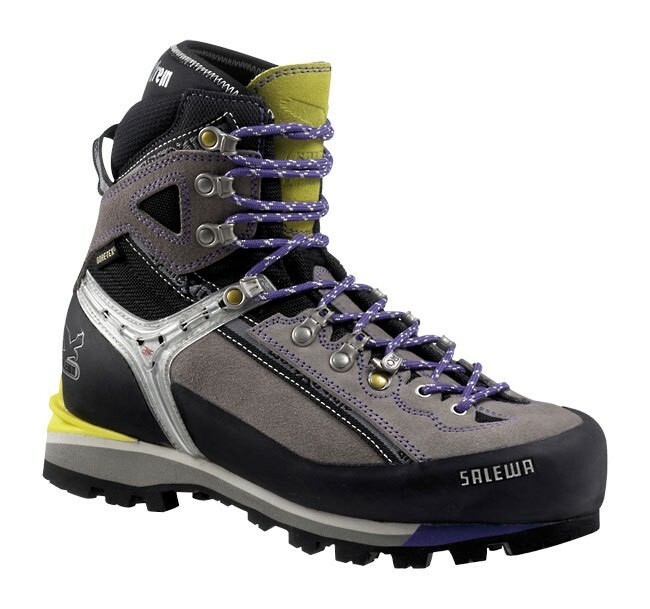 Areas such as snow ice and rock are not a problem for this high-quality and comfortable SALEWA men's shoe. 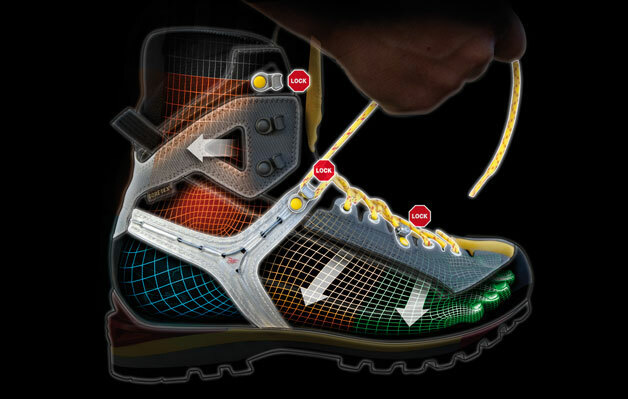 3D-lacing: The division of the shoe into three individually selectable ranges allows the climber the fine tuning between comfort and performance. It makes no sense to restrict the movement of the foot. We believe that dictates the nature of the best design - why should we change it then? We offer freedom of movement where it is needed and support where it is needed. Triple compacted microporous midsole for the ultimate edge on the rock. 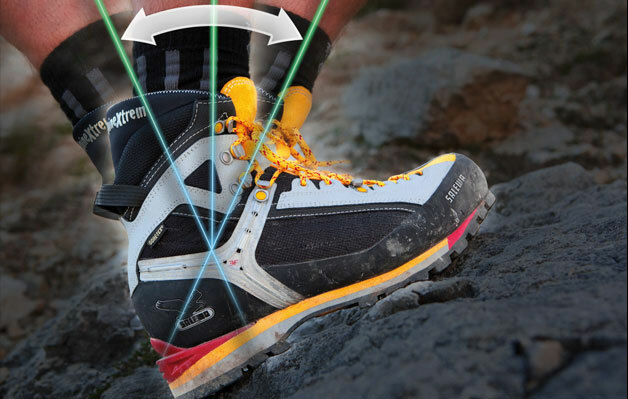 TPU omission on the heel as the perfect preparation for semi-automatic crampons. 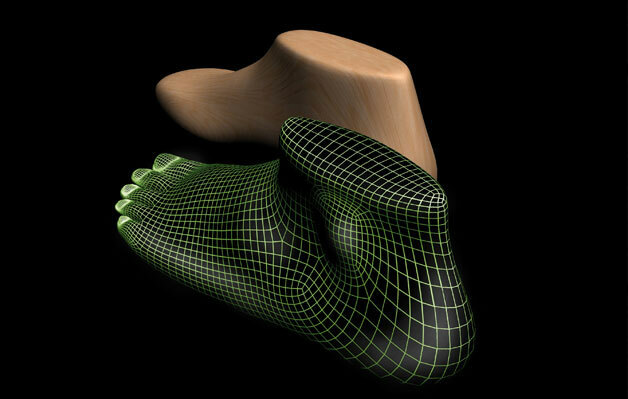 Did you know that your feet change shape over time? The intensive use of your feet - for example, through years of mountain climbing - in most cases leads to a broadening of the foot. For the people who need a little more space, there's our wide-sectional shape that provides more room in the toe area of ? ?4mm.